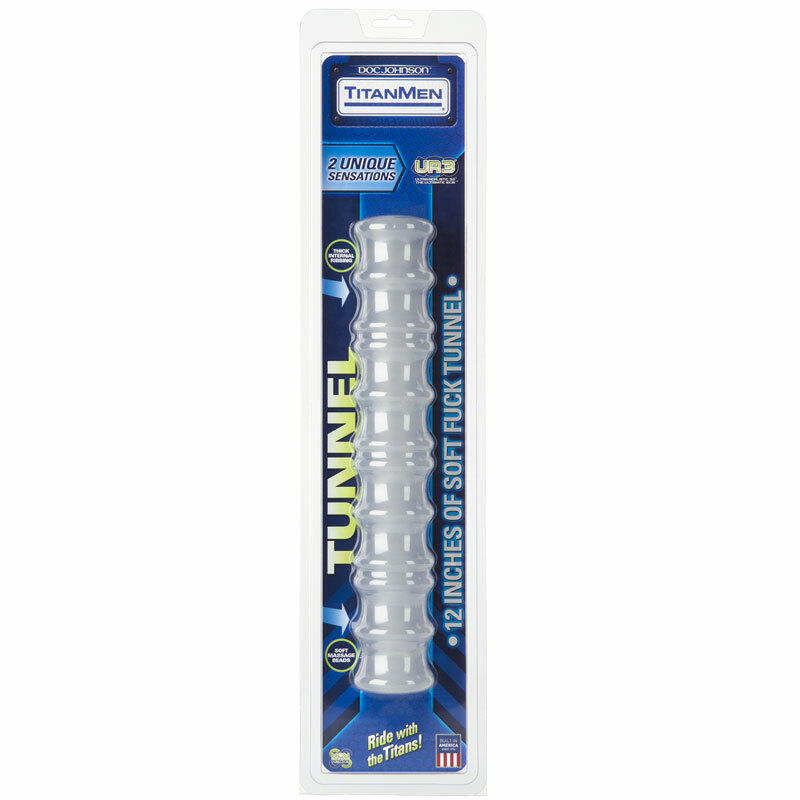 This extra-long double-ended pleasure stroker made from our ultra-realistic UltraSkyn material is soft and stretchy. It features a 12 in. shaft with a revolutionary design ? each end of this stroker features a unique texture. Choose from intense ribbing on one side or soft massage beads on the other; you can even have a partner join in. Designed with multiple ergonomic hand grips and made from non-phthalate body-safe TPE material including antibacterial Sil-A-Gel formula.